Ada Shook is a youngster approaching her twelfth birthday when we meet her. She discovers a tattered postcard hidden in her father’s toolbox that leaves her bewildered but curious about her father and about the events portrayed in the picture. This powerful opening scene leaves little doubt we are about to read something compelling. Chapters unfold like the petals of a flower with every vignette a new layer on the bloom. As The Ada Decades moves on, Ada is a new middle school librarian where she meets teacher Cam Lively, and Ada is irresistibly drawn to Cam’s charm. Cam appears to be Ada’s exact opposite, speaking her mind as an unabashed supporter of integration, while Ada mostly keeps her opinions to herself. Cam is gregarious with a close circle of friends. Ada is solitary, quiet, unassuming, yet with a hidden strength that breaks through, even in moments of timidity. When Cam invites Ada into her small community of lesbians and gay men, the two women fumble toward a relationship and we learn more about Cam and Ada’s upbringing, Cam, from a family of some means, and Ada, with origins in a working class cotton mill family. Ada’s interactions with a circle of gay friends, her first real encounters with prejudice and the turbulence unleashed during the early days of school integration, and on through the years, until finally, we find Ada advancing in age, shows us someone who meets discomfort head-on, with a combination of uncertainty and resiliency. Yet her core values remain, strengthening her throughout her life. The story consists of scenes, mostly told from Ada’s point of view, with an occasional section from Cam’s perspective. Cam challenges Ada to grow from a tentative, reluctant young woman, into strength and maturity alongside Cam’s large personality. Together they deal with prejudice against blacks during the decades when school integration was fraught with the threat of danger, and against the hazard of being deeply closeted in the South in a time before Stonewall. 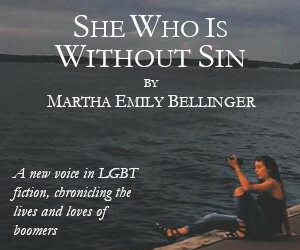 The story allows us to view a 70-year span of these women’s lives, experiencing a theme of both civil and gay rights, in this well researched and skillfully portrayed collection of short, captivating personal stories strung together like pearls. Martinac has given us a work reading so much like a memoir we have to remind ourselves that this is a work of fiction. 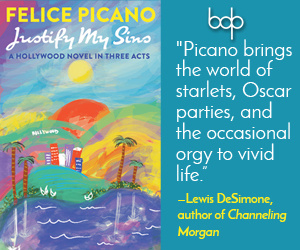 The writing is tight, precise, imparting imagery and metaphor with skill, sprinkling the tale with microscopic descriptions that make it delightfully interesting and never boring. There are no unnecessary words in this masterful work. Although there are breaks in the story as the decades advance, it still flows like a novel and the missing “in-between” years don’t make us feel as if we’ve missed anything. As time advances, Ada’s life gives us glimpses of her growth and areas in which she has difficulty advancing, all true to her personality. The story deftly moves from decade to decade, making us feel very much a part of the experience. Subplots of civil rights (both blacks and gays) are sensitively and deftly portrayed. The subject matter could be fodder for moralistic preaching; however, the author demonstrates her writing prowess by giving us the history of the times without sermonizing. Both primary and secondary characters are three dimensional with character flaws and endearing traits that make them unique, allowing them to play their roles perfectly. 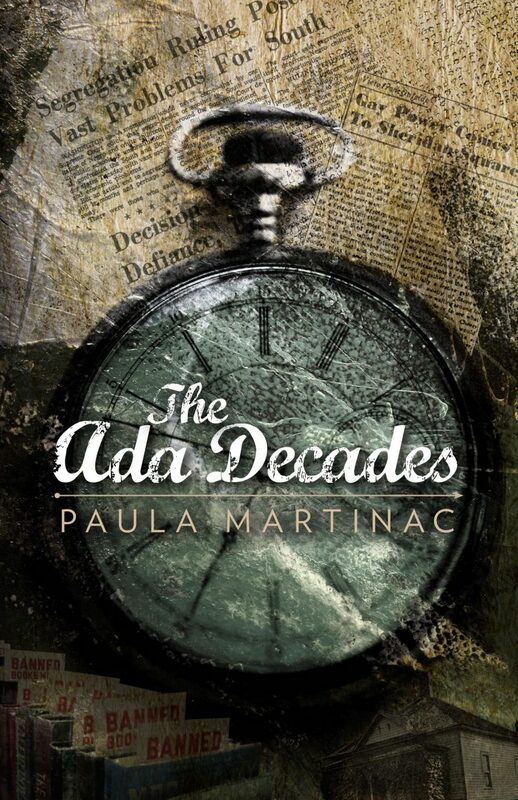 The Ada Decades is a skillfully written story, a tale to which the phrase “less is more” aptly applies. It reads like a combination of literary novel and memoir with precise writing, endearing characters, and an unforgettable journey through riveting times in history.